Announcement: LaFayette CSD is in the running to be one of the schools that is awarded $500 for its "Safe After Prom Party!" iHeart Media and Romano Auto Dealerships are sponsoring the vote. 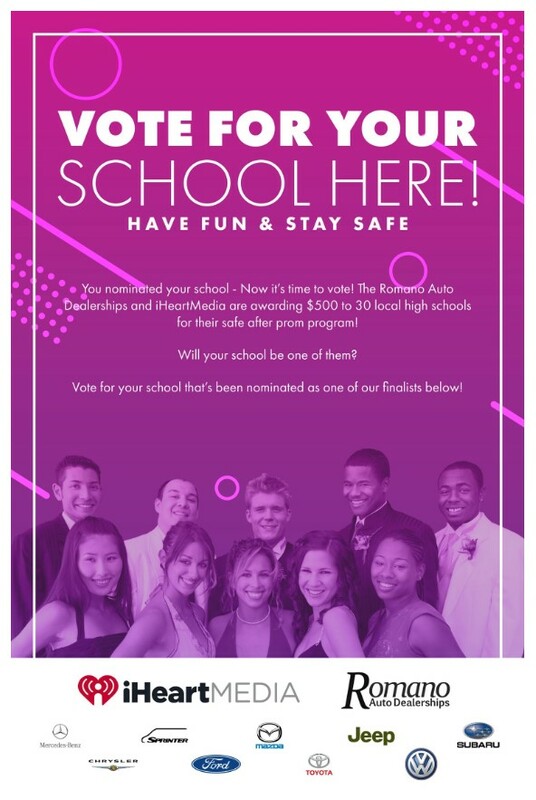 Simply visit the website below, log in with your preferred social media account (or enter your email), select "LaFayette Senior High School Prom" from the drop-down list, and submit your vote. That's it! Voting ends on April 21. Please click on the image below to be taken to the voting site. We appreciate your support, and wish everyone a fun, safe prom season!